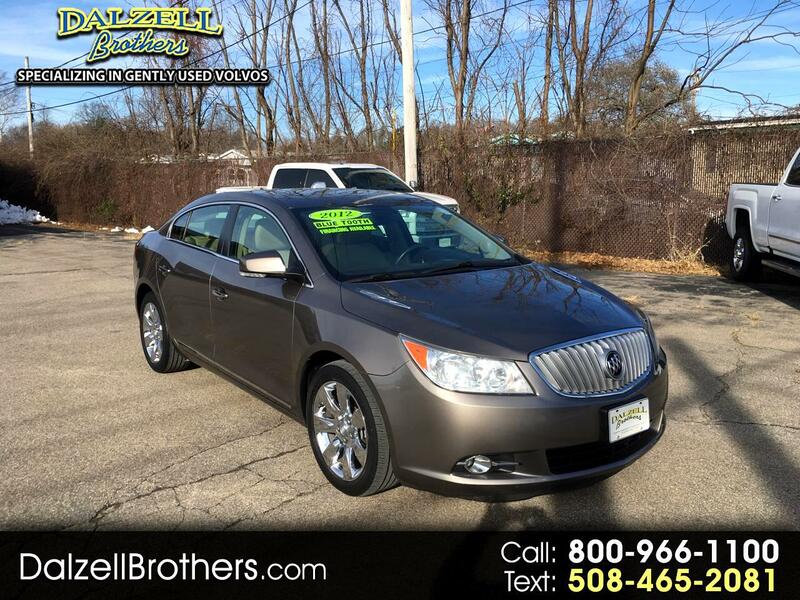 Very clean, very roomy, very nice 2012 Lacrosse. This is a perfect family sedan that won't break the bank! Moon roof, leather interior, heated front seats, Bluetooth and much more! Call TODAY!! 800-966-1100 to verify vehicle availability, options, and pricing. See all of our vehicles at WWW.DALZELLBROTHERS.COM We're very easy to find on Rt. 1 south in Foxboro near Gillette Stadium!